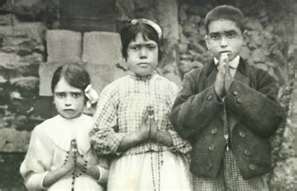 The Declaration of Jacinta and Francisco Marto as Blessed on 13 May 2000 represents the next to last stage in the Church’s official recognition of their holiness. It also provides a further confirmation of the authenticity and value of the Message of Fátima. Remarkably, the principal visionary is still alive, Lucia dos Santos (Sr. Maria Lucia, OCD), able to rejoice in the elevation of her companions to the honor of the altar. The whole Church must rejoice, as well, that ones so young were able to live lives of heroic virtue. Parents, especially, should be emboldened to encourage holiness in the young, confident that it is possible for anyone, of whatever age, who follows the spiritual advice of Our Lady of Fátima.